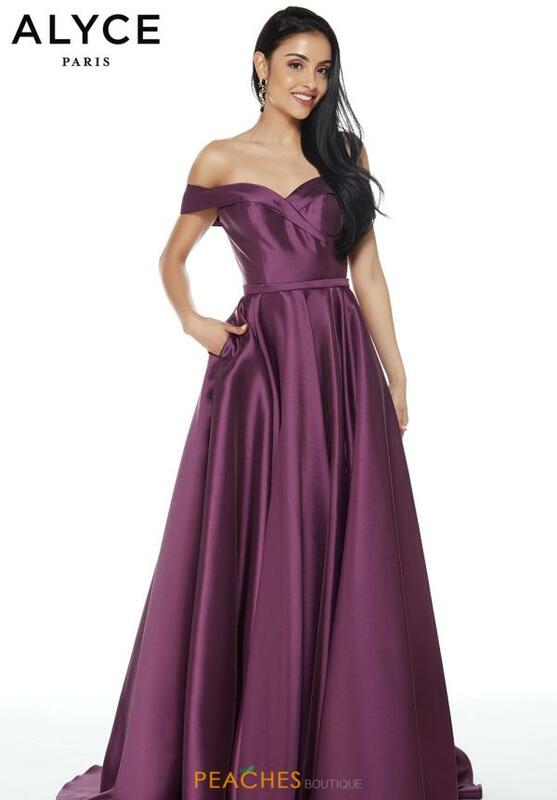 This regal dress 60268 from Alyce Paris will leave you feeling like a Disney princess at your upcoming special event. 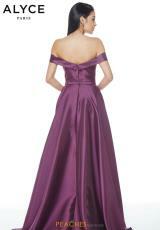 The fitted bodice has an off the shoulder sweetheart neckline with cap sleeves. The gorgeous mikado fabric shines as you move around under the lights, giving the simple silhouette a glamorous feeling. A thin belt of the same material defines the waist before flowing out into a full A-line skirt. The gorgeous skirt even has pockets, so you can keep all your essentials with you without carrying around a big purse all night.